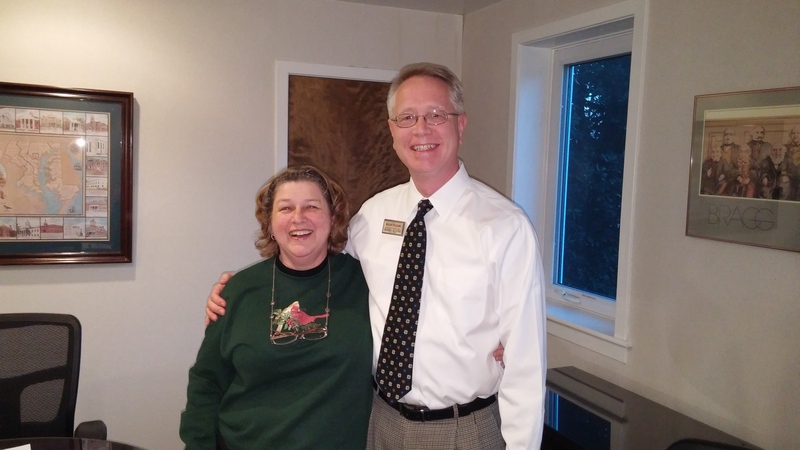 Congratulations Sharon George on the Sale of Your Piney Orchard Condo! Jerry Kline (right), Realtor with Keller Williams Flagship of Maryland, celebrates with Sharon George, following the sale of her mother’s condo in the Piney Orchard section of Odenton, Md. Sharon George needed help selling her mother’s condo in the Piney Orchard section of Odenton, Md. The ground floor unit in Chestnut Gable was bright, airy and completely renovated. Staged beautifully, priced right and effectively marketed, the home sold very quickly. Thanks, Sharon, for all your good humor and teamwork! Do you know someone thinking of buying or selling a home in the greater central Maryland area? Have them give me a call on my direct line (443) 924-7418. I’d be glad to help them any way I can! This entry was posted in Uncategorized and tagged Chestnut Gable at Piney Orchard, closings, Crofton real estate, Ft. Meade, Gambrills real estate, home sellers, homebuyers, Jerry Kline, Jerry's clients, Jerry's listings, Keller Williams Realty, Odenton, Odenton real estate, Piney Orchard, real estate by jerryklinerealtor. Bookmark the permalink.